With its winds and colds, autumn might be not your favourite season, but the goldenness of Indian summer cannot leave you aloof. And probably just as poets of Romanticism could not help quilling about their love for the beauty of the autumn tints, so could not the author of the first piece reviewed resist the romantic mood in the air. We are beginning this API digest with some care put into documentation-related lines. 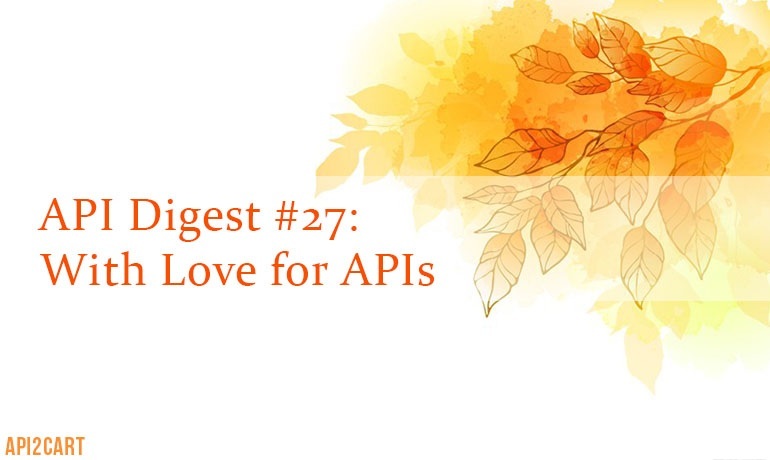 Ian Watson from APImetrics believes API documentation needs love. In the article, he encourages to think about your audience, utilize standard API frameworks, and keep the documentation precise and up to date. To continue the topic, Gregory Koberger, CEO at Readme.io, has given an interview on the future of API documentation. Find the talk here. Swagger, RAML, and API Blueprint are three of the most popular specification formats. Kristopher Sandoval has written an article teaching how to utilize them to ensure the best results. In the text, you will also find some real-use applications of these specifications in code form and two alternatives briefly given some word to. Kin Lane has blogged a post explaining why API keys and secrets are not truly secure. If curious, click here and read the piece. If your company’s goal is to stimulate developer adoption, API demo is unavoidable. Oscar Santolalla has revealed 6 points that will help your API demo enjoyable and unforgettable. Find the tips laid out here. Consider giving yourself a half an hour break to watch Keran McKenzie’s Leading an API Community. In the video presentation, he focuses on what developers love and hate, to show how to create, deliver and maintain an API community. The API Owner's Manual by Steven Willmott and Manfred Bortenschalger is available to download. Do not miss this e-book if you have been looking for a practical view on what makes an API successful in the long run. According to the authors, secret lies in the API program around the actual technical interface. If you have any suggestions or have an article to be reviewed in the next API Digest, feel free to do so by sending us an e-mail.